With Apple's annual instructions for developers - the World Wide Developers Conference (WWDC) - vastly believed to take start on June 11th in San Francisco's Moscone West, assumptions are commonly made that the Cupertino-based company possibly will take dark shadow of its iOS 6 during the event. These rumors are strengthened by the recent reports from Moscone Center, claiming that a prevalent location for Apple events had been reserved for five days, starting on June 11 for a "corporate meeting." Whereas no official ratification has been made up to now, this date seems to be quite close to the real date Apple will begin the company's annual Worldwide Developer Conference (WWDC), during which the company usually announces versions of OS X and iOS and other services. 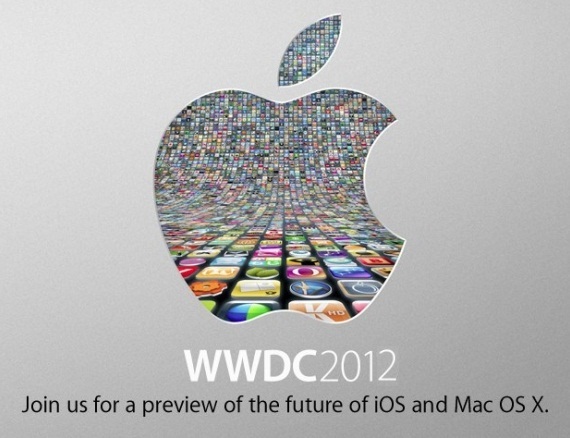 The rumors about iOS 6 have been quite intense, but there is no official mention of the upcoming features yet. However, what we can do is to list up several features of the Apple’s new operating system that are quite desirable and will actually be useful. 1. SMS timestamps - although iPhone texting app does provide timestamp for some text messages we send, some are still left with no time and date hint, which is a headache for those users who’d like to know exactly when they sent an SMS or when one was delivered to them. 2. Default app configuration – despite the fact that iOS Safari is quite a convenient browser; it’d still be nice to have an option to substitute it with a different one from the existing alternatives. Same ability for Mail, Calendars, an address book, and so forth would be quite convenient for the users. 3. Option to observe data bandwidth consumption in real time and to control which active apps are the major bandwidth and memory users would be a great feature for those who find it difficult to choose one app and downloads tones of them. 4. Augmented cursor placement, included copy-paste support and text selection with a Bluetooth freestanding keyboard would be highly appreciated, not to mention the driver support option for using a Bluetooth mouse or trackpad with the external keyboard, that’s a dream of many users. 5. For those who have several screens of their devices full of apps loaded up, and expect to add even more, better homescreen organization would be great feature, enabling them to categorize their apps in a group on a single screen. 6. And one more feature concerning categorization – giving users the ability to store groups of photos or screenshots in separate albums would also be quite appreciated, as the present camera roll and a photo stream get out of hand quite quickly. Would you like to add something to the wishlist? Do not hesitate to have your say below in the comments. Also like us on Facebook and follow us on Twitter not to miss any important update about iOS 6.